Belarus self-propelled S-300PS / SA-10B Grumble 5N63S Flap Lid deployed (image © Miroslav Gyűrösi). 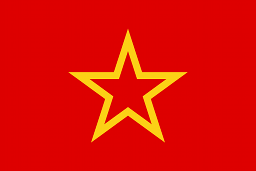 The Soviet approach to air defence during the Cold War period was characterised by two parallel evolutionary tracks, reflecting the reality of two service arms operating and maintaining separate air defence forces. 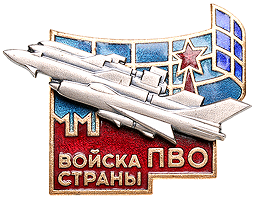 The Voyska PVO was responsible for air and missile defence of the Russian homeland, and Soviet annexed and occupied territories. The PVO-SV was the air defence arm of the Red Army, responsible for protecting Red Army ground forces, comprising armoured, infantry and all-arms divisions. The different needs and agendas of the Voyska PVO and PVO-SV reflected in very different SAM system designs and operational concepts. The Voyska PVO from the outset planned around defence against NATO nuclear armed bombers, and developed their first generation of SAM systems around fixed sites. The result of this philosophy were the semi-mobile or static S-25 / SA-1 GUILD, S-75 / SA-2 Guideline, S-125 / SA-3 GOA and S-200 / SA-5 GAMMON SAM systems. With the exception of the short range solid rocket propelled SA-3 GOA, all of these designs were fuelled by the toxic and corrosive AK-27I/F / TG02 liquid propellant mix, evolved from the German WW2 Wasserfall SAM propellants. Missiles were fuelled, loaded on to launchers, and if not launched, defuelled and returned to storage. SAM sites required a large convoy of support equipment, usually packaged into towed vans, including electrical power generators and mains grid power converters. As a result, the Voyska PVO invested heavily in fully hardened or semi-hardened SAM sites, usually resulting in defacto static operation, even though these SAM systems could be redeployed, with the exception of the SA-1 and SA-5, in a matter of hours. The PVO-SV was driven by a more challenging imperative of providing a highly mobile air defence umbrella over advancing Soviet Red Army divisions. PVO-SV air defence batteries had to match the mobility of the heavy and light armoured divisions they were intended to protect. As a result, all PVO-SV SAM systems were built as self-propelled designs from the outset, designed for operation on the move, with a minimum of support equipment, all packaged for high mobility. The first generation of PVO-SV area defence SAMs, the long range 2K11 / SA-4 GANEF and short range 2K12 / SA-6 GAINFUL were powered by ramjets, sacrificing missile speed and altitude performance to avoid the operational difficulties inherent in the higher energy liquid rocket propellants used by the Voyska PVO. 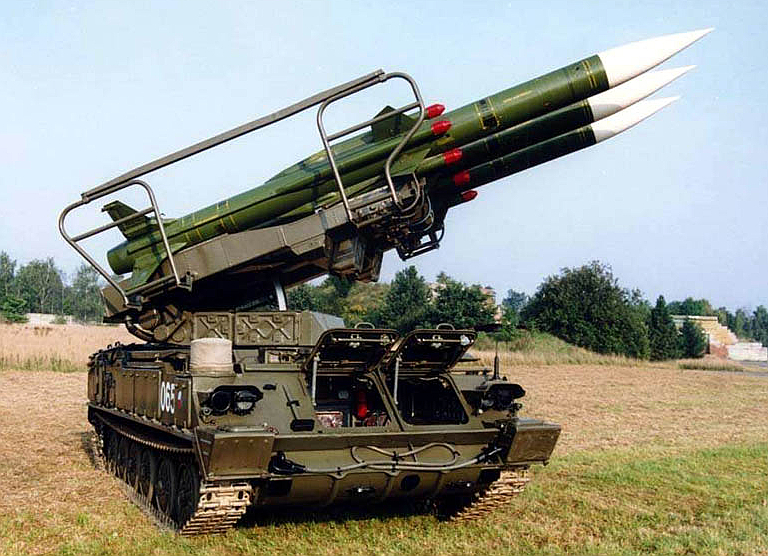 The Voyska PVO changed their operating regime with the deployment of the new S-300P / SA-10 GRUMBLE during the late 1970s, which introduced sealed containerised solid rocket propelled missiles for rapid deployment and reloading, and much higher mobility than earlier SAM systems. Explanations for this CONOPS change vary. Russian sources claim that the imperative for producing the self-propelled S-300PS / SA-10B GRUMBLE lay in the need to rapidly deploy replacement batteries following a nuclear attack by US Air Force Strategic Air Command bombers, while Western analysts tend to credit the impact of the formidable US Air Force Tactical Air Command F-4G Wild Weasel force, and its predecessor F-105G Wild Weasel, which killed significant numbers of PAVN SA-2 GUIDELINE systems. Regardless of whether the imperative was the resilience of homeland air defences against SAC initiated nuclear attack, or the survivability of Warsaw Pact air defences against TAC initiated conventional SEAD/DEAD attacks, high mobility was the best solution. 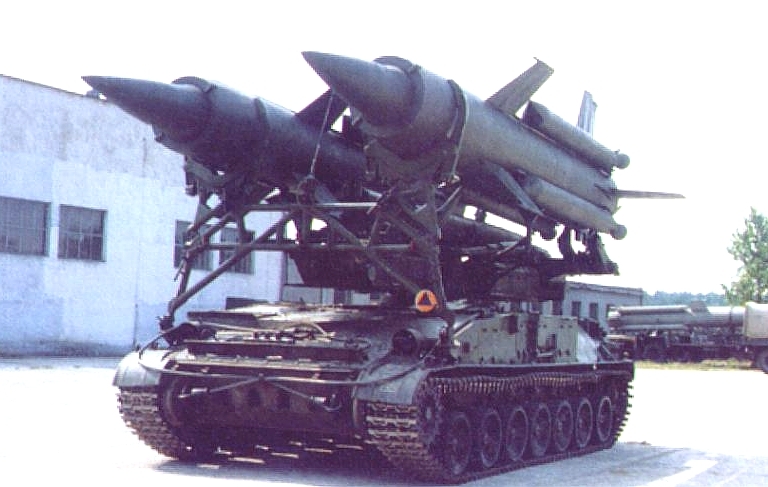 The Voyska PVO through the 1980s replaced most Soviet SA-2 GUIDELINE, SA-3 GOA and later SA-5 GAMMON systems with the SA-10A and SA-10B GRUMBLE, but the replacement of Warsaw Pact nation legacy SAMs only commenced when the Warsaw Pact collapsed, and the Soviet Union disintegrated. The later variants of the S-300P series of self propelled SAM systems remain the backbone of Russia's current PVO force, China's strategic air defence system, and derivatives are increasingly appearing in the global export market. The S-300P and its derivatives remain the strategically most important SAM system type in operation at this time, globally. 5P85SM smart TEL developed for the S-300PMU1 (Almaz). The S-300P SAM family is one of the most advanced and capable operational SAM systems in the world today. The formidable S-300P SAM system was conceived to replace the S-25 / SA-1 GUILD, S-75 / SA-2 GUIDELINE, S-125 / SA-3 GOA and the S-200 / SA-5 GAMMON as the primary medium- to long-range air defense system in the USSR. With the advent of lower-RCS low altitude targets like cruise missiles, legacy systems did not provide adequate capability to defend against attacks by such weapons. The S-300P began life as a joint SAM system intended for use by both the Army PVO-SV and the Voyska PVO air defense forces. At an early stage, the project was split into two systems, the Army's PVO-SV S-300V (SA-12) and the Voyska-PVO's S-300P. These later diverged to the extent, that only basic technology was shared between the two families of missiles and radars. 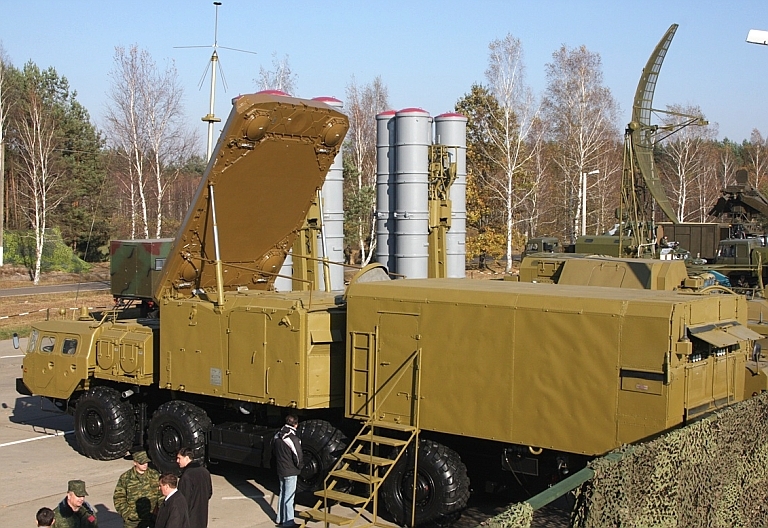 The S-300P is a long-range, mobile strategic SAM system. The system has been produced in numerous variants, and remained in production for export clientele in late 2009. The successor system, the S-400 Triumf, is largely an evolution of the S-300P series, and is now entering the export market. Western designators for the S-300P variants are provided for clarity in Table 1. It should be noted that the S-300PMU1 was at one point designated the SA-10C GRUMBLE, before being redesignated due to the fact that a new engagement radar, the 30N6-1 (TOMB STONE) and a new missile, the 48N6, was employed. It should also be noted that the most prominent difference between the S-300PS and the S-300PM, apart from numerous internal hardware differences and the introduction of a new missile for the S-300PM, was that the S-300PM introduced additional digital datalinks for connecting the TELs, radars, and command post in an effort to reduce system setup time. 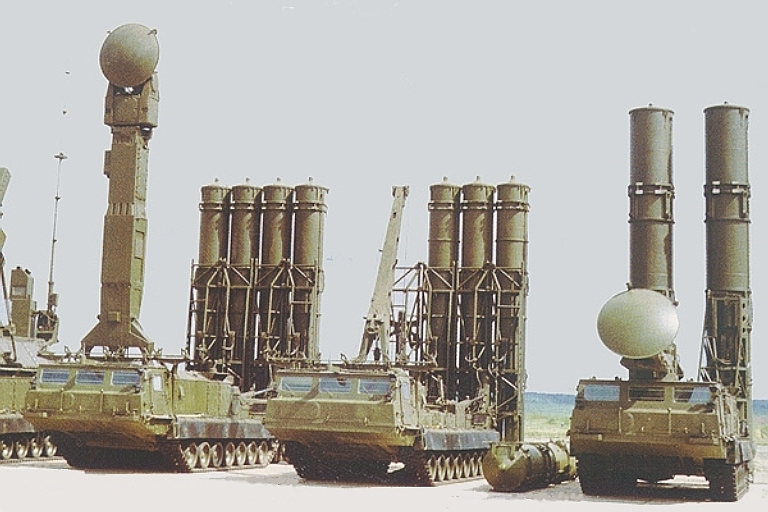 The S-300PT and S-300PS relied on physical cable connections between system components, like earlier Soviet SAM designs. The S-300PM and subsequent variants can still employ cable connections, most often at prepared sites, to ensure the system is not betrayed to hostile emitter locating systems. The composition of S-300P family SAM batteries varies considerably across variants. While all share a phased array battery engagement radar of the 5N63/30N6 family and a group of missile TELs, the composition of supporting acquisition radar systems varies widely. The latter is reflected often in the configuration of SAM sites. The earliest S-300PT semi-mobile systems saw the introduction of two new acquisition radars, the 36D6 / ST-68/68U/UM TIN SHIELD family of S-band medium to high altitude search radars, and the 5N66 / 76N6 CLAM SHELL family of S-band FMCW low altitude acquisition radars, optimised for early warning against low signature cruise missile class targets, and terrain following bombers. While all S-300P battery radars were available on towed chassis, they were very frequently installed on the NKMZ 40V6M or 40V6MD mobile mast system. The Soviets had strong imperatives for using the 40V6M/MD masts, not only due to the need to provide low altitude coverage in hilly geographical areas, but also due to the prevalence of heavily forested terrain across large parts of European Russia and Siberia. The large elevated reinforced concrete platforms introduced with the S-200/SA-5 GAMMON system were also frequently employed to elevate Tin Shield family radars. Early variants of the 5N64/64N6 BIG BIRD family of phased array acquisition radars were introduced as battle management radars, typically attached to a 54K6E mobile command post, which controlled several batteries. The earliest 5N64 variants achieved IOC circa 1980, and were used with S-300PT and PS batteries. The containerised 5N64K was rapidly supplanted by the self-propelled 5N64S, towed by a distinctive MAZ-74106 8 x 8 tractor. Variants of the BIG BIRD series have been available as an option for every S-300P variant since then. The most recent acquisition radar employed with the S-300PMU2 and S-400, is the LEMZ built 96L6/96L6E, an all altitude 3D S-band planar array design, usually carried on an MZKT-7930 chassis as a self -propelled system. Whereas earlier S-300P variants usually shared a pair of TIN SHIELD and CLAM SHELL acquisition radars across one or more batteries, in more recent S-300P variants each battery may use a dedicated 96L6 and a TOMB STONE or GRAVE STONE engagement radar. There are two common battery configurations employed by the S-300P SAM system. The first relies on a typically prepared site with a semi-mobile mast-mounted engagement radar. The second relies on either a prepared or unprepared site with a mobile engagement radar vehicle. The number of TELs present varies from user to user, location to location, and variant to variant, and these differences will be discussed in the Deployment Strategies sections of this article. 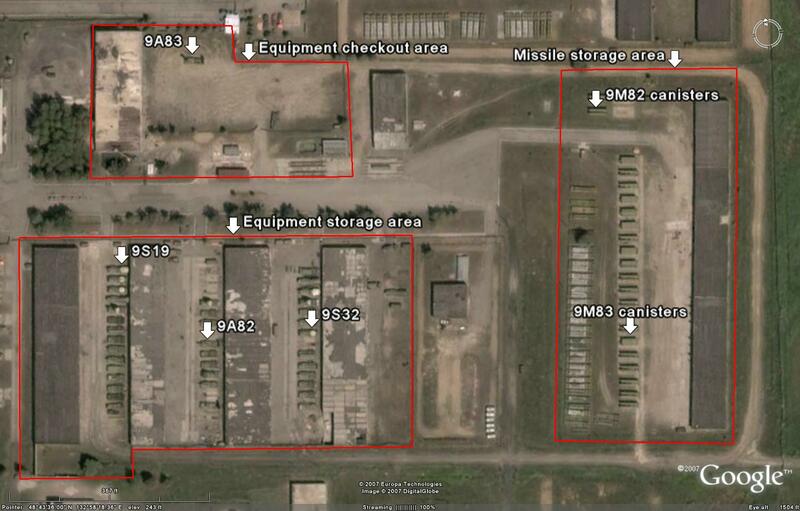 There are many different variations of S-300P site configurations. Most of them differ in the number, shape, and positioning of prepared revetments used to protect the components. However, it should be stressed that the S-300P is a mobile SAM system, and as such can be deployed almost anywhere. That being said, there are a few common site layouts that have been identified, and these layouts will be detailed here. One of the more common S-300P site configurations is a central mast-mounted engagement radar surrounded on two sides by parallel “slanted-E” shaped divided revetments for TELs or missile reload canisters. A mast-mounted 76N6 is positioned nearby. 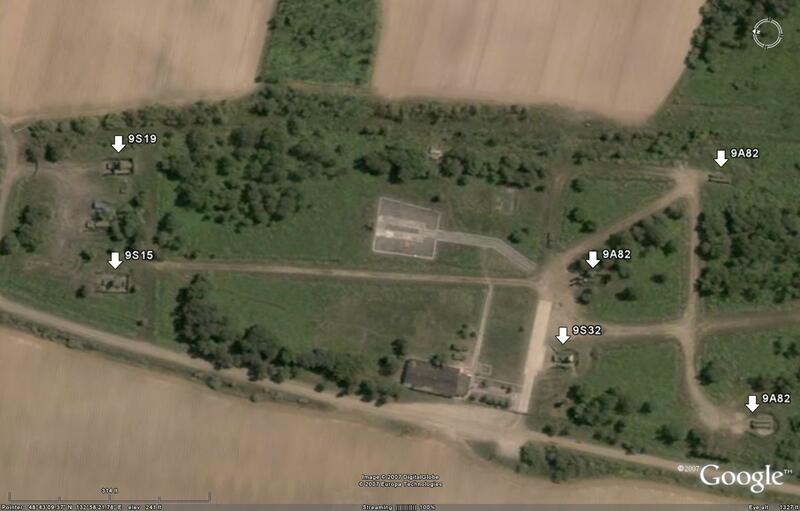 This site layout is often featured around Moscow on the grounds of former S-25 (SA-1 GUILD) SAM sites, but is also featured elsewhere as well, such as in Belarus. Another common site configuration features four launch positions arranged around a central raised berm for a mobile engagement radar. The size and shape of the launch positions, as well as the presence of protective revetments for the TELs, varies from site to site and nation to nation, but the overall layout remains relatively uniform. 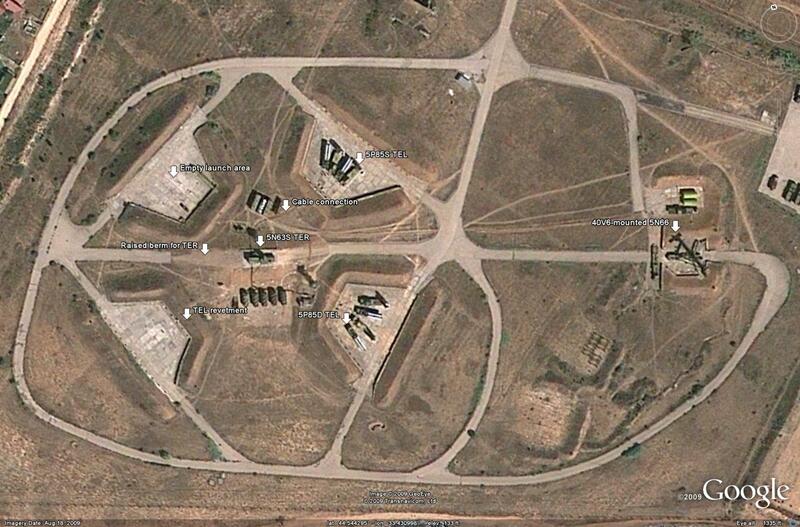 The site near Sevastopol depicted above is an example of such a configuration. 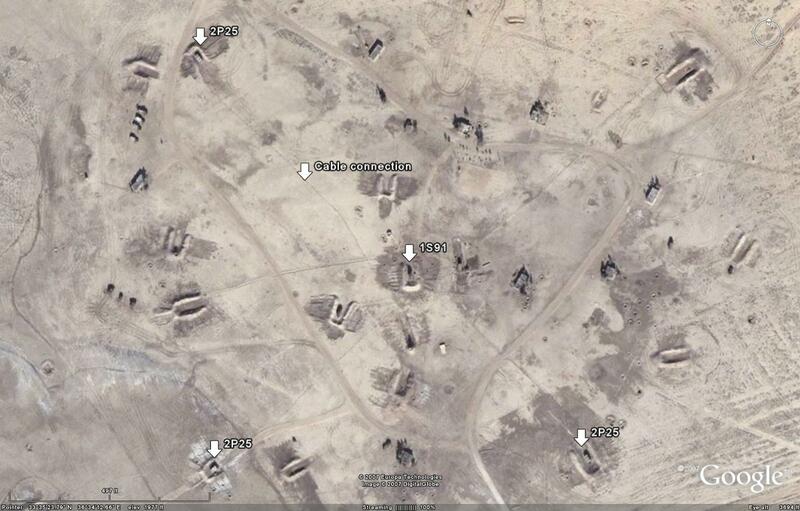 All identifiable Chinese S-300P sites employ a variation on this layout. Given that the S-300P SAM system is a mobile system, it is also quite common to find batteries deployed on former legacy SAM sites. 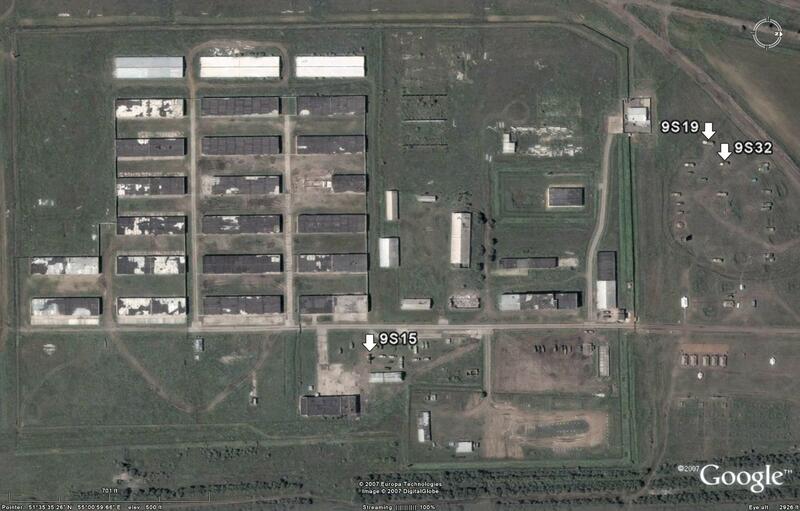 As seen previously, many S-25 sites around Moscow are now home to S-300P batteries. 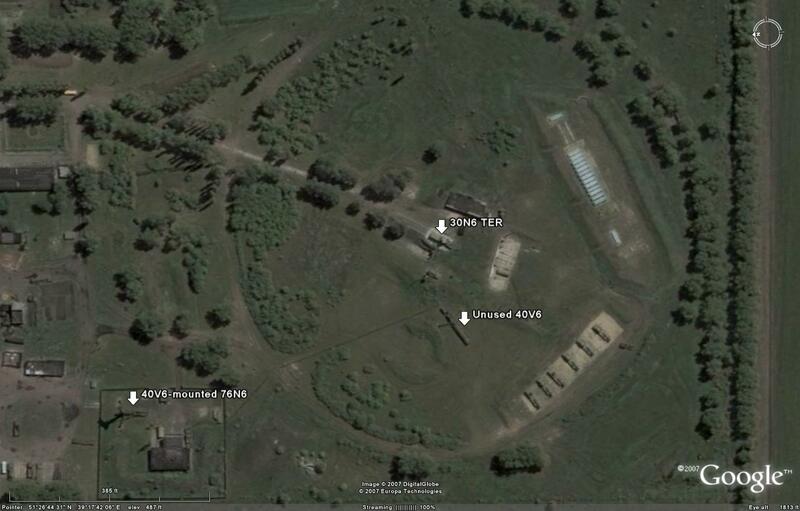 Slovakia's S-300PMU battery resides on the grounds of a former S-125 site, and there is a Ukrainian S-300PS battery and garrison positioned on a former S-200 complex near Sevastopol, to cite a few examples. The following image depicts an S-300PM battery deployed on the grounds of a former S-75 site near Roschino, north of St. Petersburg. The Roschino site is slightly unusual insofar as there are S-300P-style revetments to the southwest that are apparently unused. Despite the presence of common site configurations, there are numerous random layouts. The numerous site configurations probably stem from the fact that the S-300P is a mobile system able to be located nearly anywhere. Some sites feature numerous revetments designed for two TELs apiece, some feature larger revetments for four or more TELs, and some feature no revetments at all. The lack of consistency on a large scale in the configuration of S-300P sites belies the importance of being able to identify the system based on the visible components. The S-300PT is relatively easy to identify given the unique appearance of the early build 5P85-1 launchers. Early self propelled variants employed the MAZ-7910 hosted 5P85S/D smart/dumb TELs, and the export variants, the 5P85SU/DU. The export variant of the S-300PM, the S-300PMU1, introduced the semi-trailer 5P85TE series TEL, towed by a 6 x 6 KrAZ-260 tractor, and a new smart self-propelled TEL, the 5P85SE. While the 5P85SE TEL is easily confused with the 5P85D/DU in overhead imagery, it can be easily differentiated from of the 5P85S/SU which uses a large equipment cabin. The semi-trailer 5P85TE TEL is easily differentiated against the MAZ-7910 hosted self-propelled TELs, which are considerably shorter. The practice of offering customers either self-propelled or semi-trailer TELs has continued with the S-400 series, although to date all clients have been suppied with 5P85T2/TE2 and BAZ-69022 tractors. China's S-300PMU2 has been supplied with the 5P85TE2 TEL / BAZ-69022 tractor. 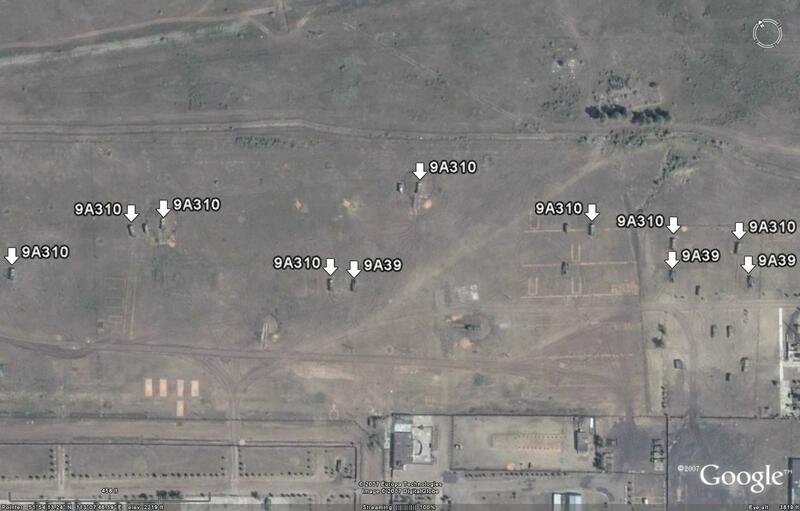 Russian S-300P sites display a number of identifiable deployment strategies. S-300P SAM systems are employed in defense of key industrial and military areas, as well as large population centers. 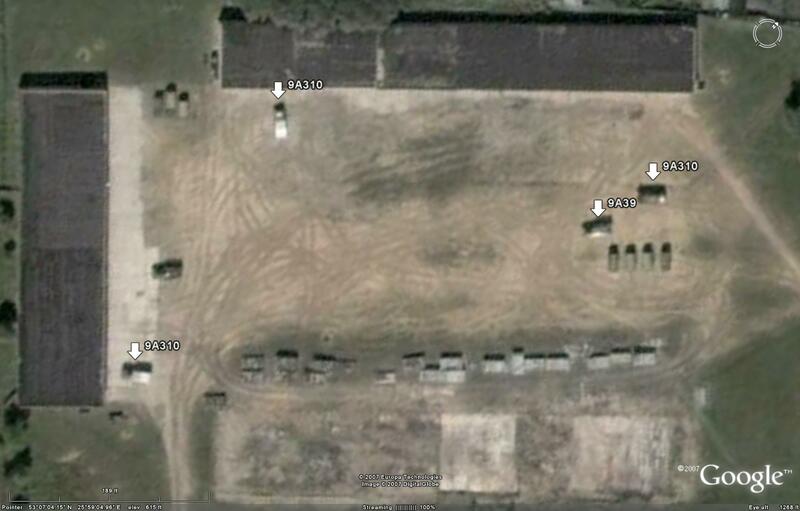 S-300PS and S-300PM sites around Moscow typically employ the “slanted-E” site configuration, and most of them are sited on the grounds of former S-25 SAM sites. Moscow defense sites all employ mast mounted engagement radars in conjunction with mast-mounted 76N6 radars. This provides a robust low-altitude target detection envelope around the capital city. Eight to twelve TELs are typically present at each site, with at least six TELs at each site being loaded with missiles and positioned in a launch revetment. S-300P sites located along the periphery of Russia's Far East Military District, particularly near Vladivostok and Petropavlovsk, tend to feature mobile engagement radars and mast-mounted 76N6 radars. This is likely due to the fact that sites located along the periphery are typically positioned very near the water and therefore do not have substantial terrain for the engagement radar to contend with along potential threat ingress routes. A raised berm for the engagement radar is often more than sufficient to ensure the radar has a sufficient field of view with respect to any vegetation in the area. The single exception is the S-300PM site positioned to defend the Rybachiy SSBN base, featuring a mast-mounted engagement radar, likely due to the terrain otherwise impairing radar propagation over the open ocean from where it is positioned. The Yelizovo and Petropavlovsk sites are positioned at a higher elevation than the Rybachiy site, providing them with a better field of regard than the Rybachiy site. S-300P sites on the Kola peninsula and around St. Petersburg feature mast-mounted engagement radars, likely due to the varied terrain in the areas where the SAM sites are positioned. Kola sites feature eight active TELs, with St. Petersburg sites featuring four active TELs, likely due to the greater strategic importance of the Kola peninsula and associated military facilities. Interestingly, the Kaliningrad (formerly East Prussian) S-300P sites feature mast-mounted engagement radars at four sites and a mobile engagement radar at the fifth site. There are no major terrain constraints requiring use of the masts for the engagement radars. However, the Kaliningrad region is geographically separated from the rest of Russia, and is is possible that mast-mounted engagement radars are employed to provide an increased low-altitude detection and engagement performance. The lack of S-300PM batteries in areas identified as being of strategic importance, such as Petropavlovsk, Vladivostok and Kaliningrad, is likely due to the fact that the more sensitive systems are kept in areas where the presence of foreign ELINT assets is far less likely. There is, however, an S-300PM battery deployed near Novorossiysk. The presence of an S-300PM site in this area is likely due to the fact that it represents the sole identifiable active strategic SAM site in the area. It should also be noted that the S-300PM systems are at most nearly a decade newer than the S-300PT systems. Ergo, it is likely that the areas considered to be the most strategically important were the first to receive the S-300PM. This would explain the high concentration around Moscow, and the presence on the Kola Peninsula. S-300PMs not being present on the Kamchatka Peninsula can be explained away by the fact that the Northern Fleet is the main combat arm of the Russian Navy. Petropavlovsk and Rybachiy also enjoy protection by a MiG-31 regiment, so the area is not necessarily at a loss. S-300P sites in the Ukraine, Belarus, and Kazakhstan are primarily deployed to defend population centers, capitals, and in the case of the Ukraine military facilities. Most S-300PT facilities feature a standard twelve TEL complement, although there are some minor variations, as there are with the S-300PMU deployments. Slovakia was not analyzed due to the presence of only a single known former Czechoslavkian S-300PMU battery. Likewise, Greece was not analyzed, as S-300PMU1 components are visible at two locations on Crete but they are not deployed. The S-300P is a very capable strategic SAM system, and as such can provide very robust air defense over a large region of airspace. By employing a number of batteries positioned to provide overlapping areas of coverage, a nation can effectively create what amounts to an area of denied airspace. 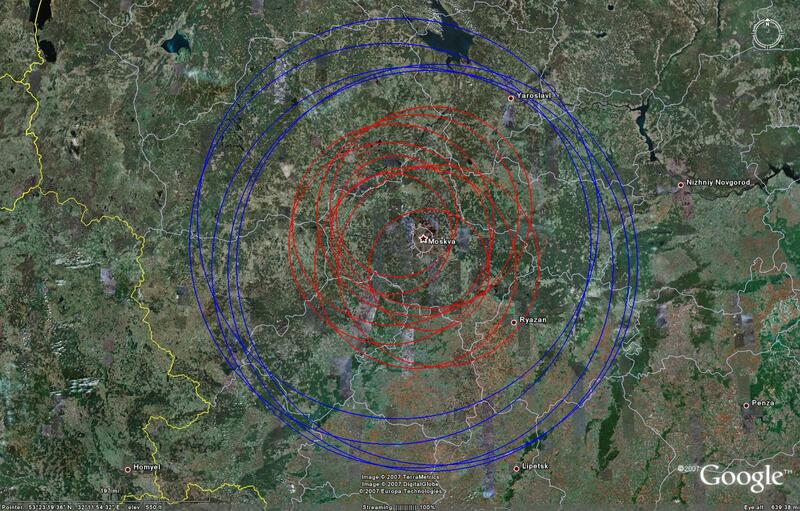 While the S-300P does feature multiple-target engagement capability, it is also wise to overlap coverage areas in order to reduce the effect of saturation by actual or false targets. 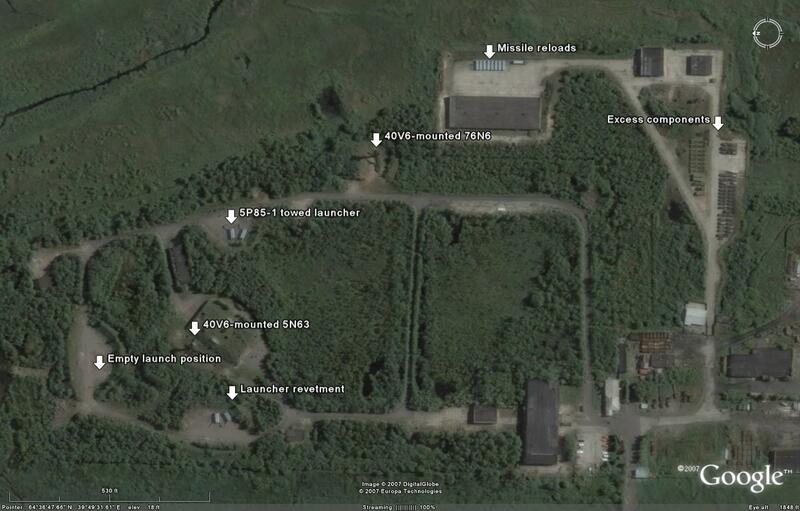 The following image depicts S-300P coverage provided by identified, active sites positioned around Moscow. The blue rings represent the associated 64N6 BIG BIRD acquisition radars. 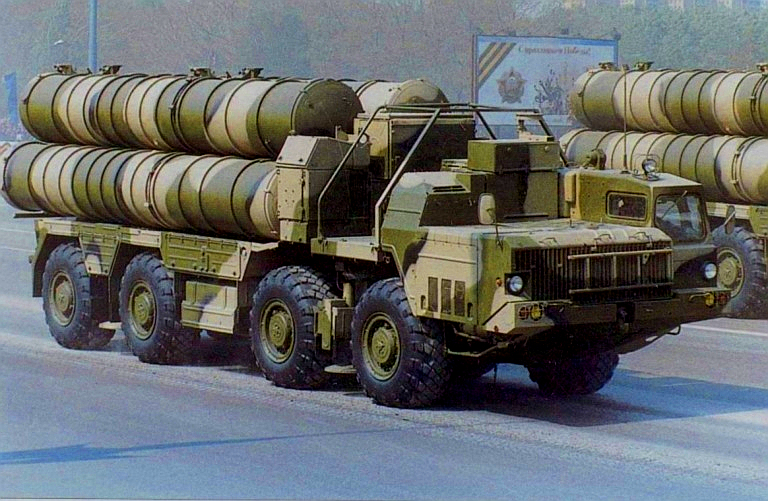 Large red rings represent S-300PM batteries, with small red rings representing S-300PS batteries. The S-300PM has a 150 kilometer range, the S-300PS a 75-90 kilometer range, and the 64N6 a 300 kilometer range. The overlapping coverage areas and the number of batteries in place have effectively transformed the skies over Moscow into the most heavily defended airspace in the world. Antey's S-300V / SA-12A/B GLADIATOR/GIANT is the most advanced self propelled tactical SAM system in the world, conceived to provide advancing Soviet army units and fixed site facilities with umbrella air defense against airborne, cruise missile and ballistic missile threats. Despite a long running marketing campaign by Rosoboronexport, the only SA-12 systems operated outside of Russia are those which were stranded inside former Soviet republics when the USSR fell apart. Many of the SA-12 system components are easily identifiable thanks to their unique configurations. Key system components are the 9A83 TELAR with four launch tubes for 9M83 anti-aircraft missiles, the 9A82 TELAR with two launch tubes for 9M82 SAM/ABMs, the respective 9A84 and 9A85 transloader/TELs, the 9S32 GRILL PAN engagement radar, the 9S19 HIGH SCREEN ABM acquisition radar, and the 9S15 BILL BOARD self-propelled acquisition radar. 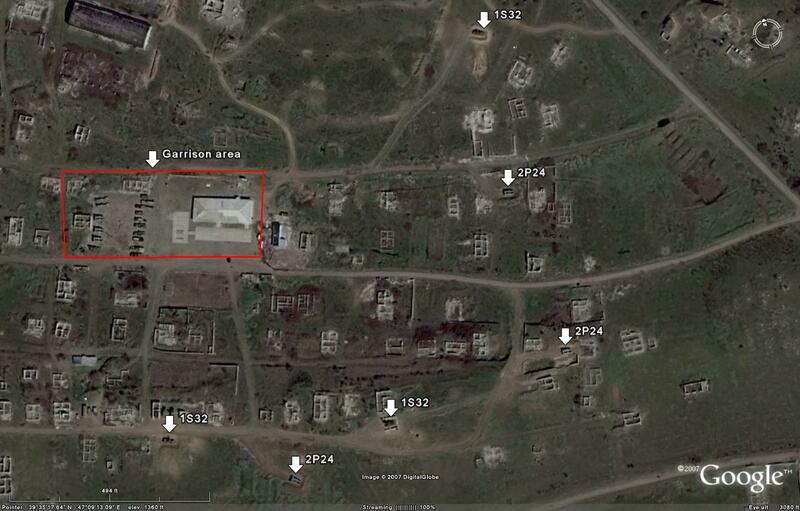 The following image depicts an S-300V garrison in Birobidzhan, Russia. First, take note of the 9A83 TELAR in the probable system checkout area. Note the large mast antenna fitted to the front of the TELAR. This mast antenna, when elevated, allows the TELAR to be positively identified as a 9A83 and not a 9A82, regardless of whether missile canisters are fitted or not. The 9A82 by comparison features an antenna radome that extends forward of the operator's cabin but does not elevate. The 9A84 and 9A85 are identical to the TELARs with the exception of the radar illuminators being replaced with a hydraulic transloader crane. 9S19 and 9S32 radars are also visible in their stowed for storage or transportation configuration. The radar arrays themselves are visible as white fixtures, with the 9S19 having a much larger, eliptical array compared to the 9S32's smaller, octagonal array. 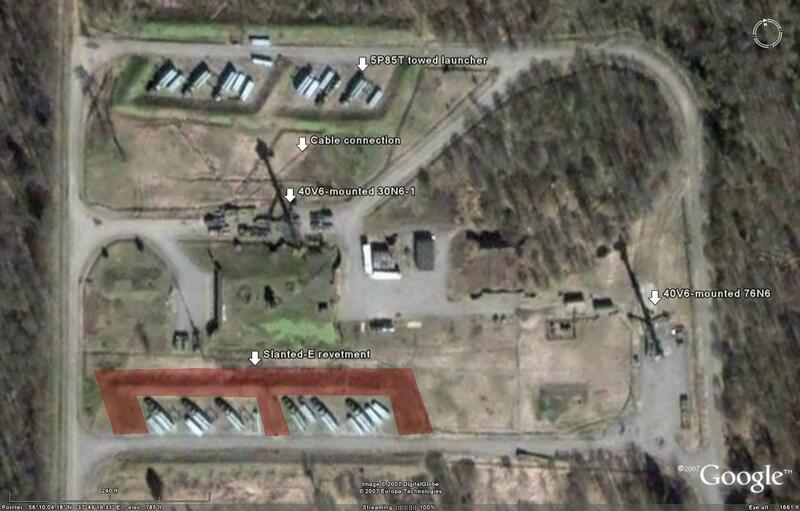 Another S-300V garrison is visible at Orenberg, Russia. Many system components can be seen field deployed to the north of the main garrison facility. 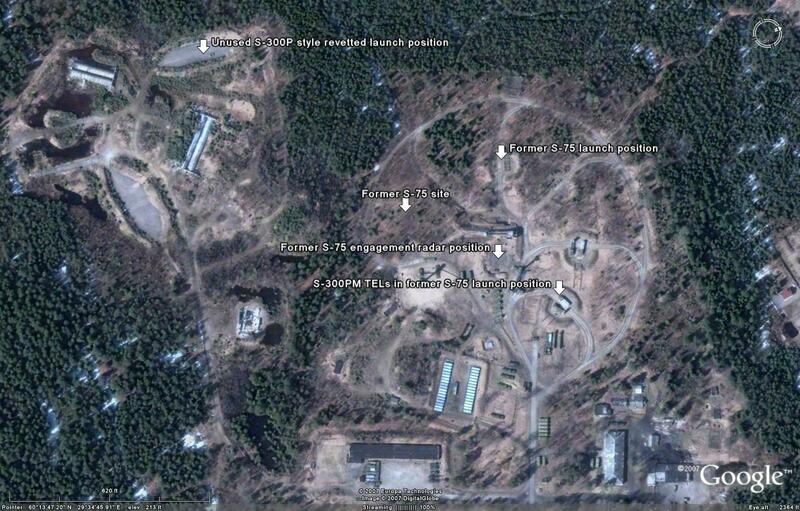 Adjacent to the Birobidzhan S-300V garrison is what would appear to be a dedicated ATBM site. Note the dual missile canisters on the three visible TELARs, identifying them as 9A82 ATBM TELARs. The 9S32 engagement radar is located in close proximity to the TELARs, and is shown in deployed mode with the radar array raised for operation. An antenna mast is visible at the rear of the vehicle, identifying it as a 9S32 and not a 9S19. 9S15 and 9S19 radars round out the battery. The Antey 2K11 Krug / SA-4 GANEF tactical SAM system is one of the easier systems to positively identify. This is thanks in no small part to the very large command link guided missiles employed by the system. There are two key system components, the 2P24 TEL and the 1S32 PAT HAND engagement radar. 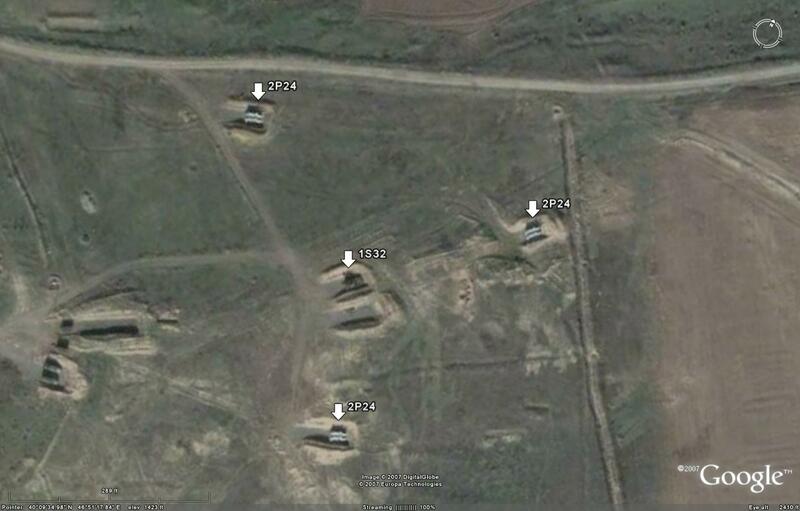 The following image depicts an active, field deployed 2K11 battery in Azerbaijan. Three 2P24 TELs can be identified. Take note of the readily identifiable 3M8 missiles, two of which are fitted to each TEL, identifying this as a 2K11 battery. The presence of the three TELs enables the central vehicle to be identified as a 1S32 radar. The 2P24 TELs do not contain on-board engagement radars, necessitating a 1S32 to be located nearby in order for the battery to prosecute an engagement. In this case, the 1S32 does not need to be identified using any major distinguishing features. This is a common theme in tactical SAM system analysis: identification by proximity. 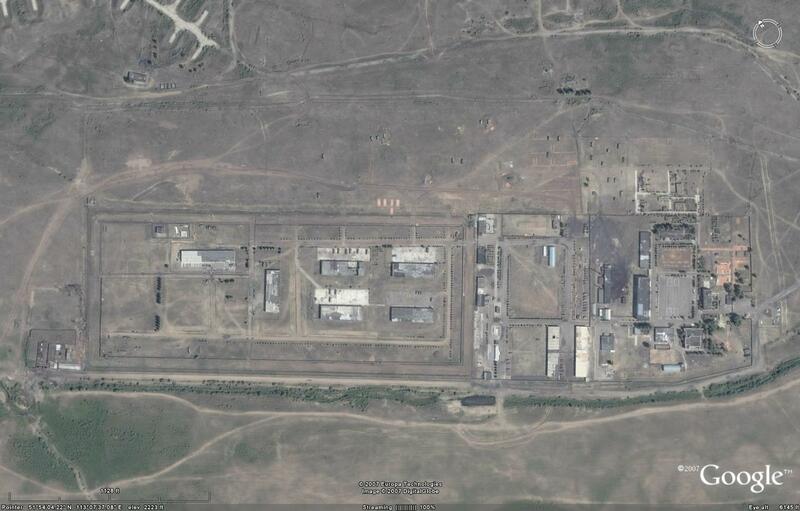 The following image depicts another 2K11 facility in Azerbaijan. In this instance, a garrison area is visible. SAM garrisons are common locations to find tactical SAM equipment which is not field deployed. This site is unusual, however, insofar as there are three TELs deployed around the facility. In a further deviation from the norm, each 2P24 is located adjacent to a separate 1S32. Normal operations dictate the use of one 1S32 to control a cluster of TELs; in this case, Azerbaijan has given the erstwhile SAM site the capability to engage a total of three simultaneous targets, as each 1S32 can only prosecute a single target at a time. The Tikhomirov NIIP 2K12 Kub / SA-6 GAINFUL is one of the most widely used tactical SAM systems in the world. Identification of the 2K12 can be difficult due to the smaller, less easily identifiable 3M9 missiles. Important system components are the 2P25 TEL armed with three 3M9s, and the 1S91 STRAIGHT FLUSH radar. The following image depicts an active, field deployed 2K12 battery in Syria. The 2K12 is a mobile, tactical SAM system, but many nations employ the system at prepared fixed site locations as seen here. The 2P25 TELs are identifiable thanks to the visible loadout of 3M9 missiles. If the northernmost TEL is zoomed in on using Google Earth, separate missiles can even be discerned thanks to the resolution of the imagery. The 1S91 is identifiable thanks to a standard feature of the system: cable connections between the individual TELs and the engagement radar. In this case, a well-camoflaged 1S91 is clearly located atop the berm in the center of the site. The radar antenna can even be partially discerned through examination of the visible shadows. 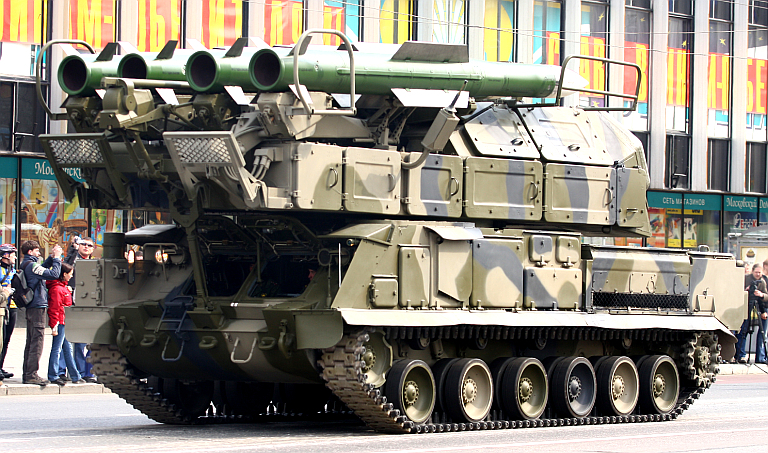 Tikhomirov's follow on to the 2K12 is the 9K37 Buk / SA-11 GADFLY SAM system employing the 9M38 missile. Key system components are the four-rail 9A310 TELAR fitted with the system's 9S35 FIRE DOME X-band engagement radar, the 9A39 loader/launcher vehicle fitted with rails for eight missiles, and the 9S18M1 SNOW DRIFT acquisition radar. 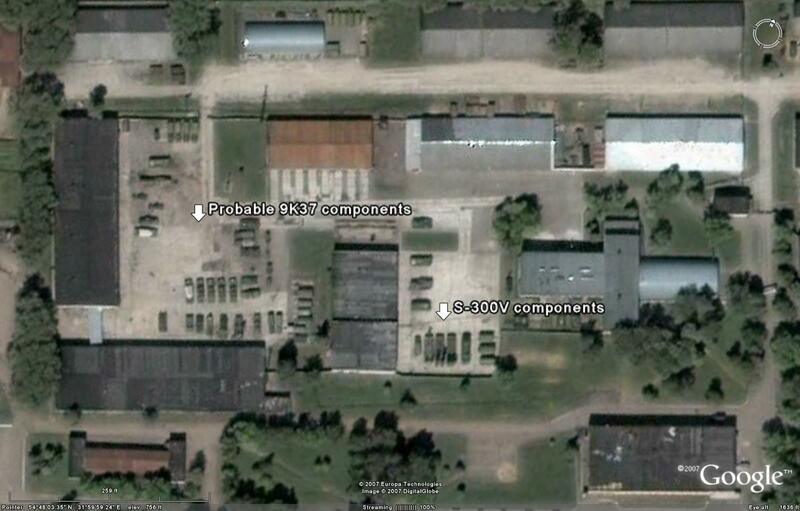 The following image depicts 9K37 components located in a garrison in Belarus. Take note of the three 9A310 TELARs. Note the visible fitting for the 9S35 radar at the front of the TELAR. This allows the 9A310 to be identified even if missiles are not fitted. Concurrently, it allows for differentiation between the 9A310 and the 9A39, as the 9A39 lacks the 9S35 installation. The CIA FOIA website at http://foia.cia.gov provided the documents shown and referenced above. Imagery Sources: Russian MoD; Vestnik PVO; MilitaryPhotos.net; Miroslav Gyűrösi; other Internet sources.